The FLTRgo Travel Coffee Filter is designed to be used hundreds of times with proper care. You heard right. Hundreds of times! To ensure the longevity of your FLTRgo, here are our suggestions suggestions for optimal care. After each use, simply empty used grounds, rinse out filter thoroughly with water, and hang to to dry. Soak the FLTRgo in boiling water for one minute every 50-60 uses. This will remove excess coffee oils that build up over time. If you want to use soap to clean the FLTRgo, use a mild, unscented dish soap and gently massage the fabric with your fingers. Rinse thoroughly with hot water. 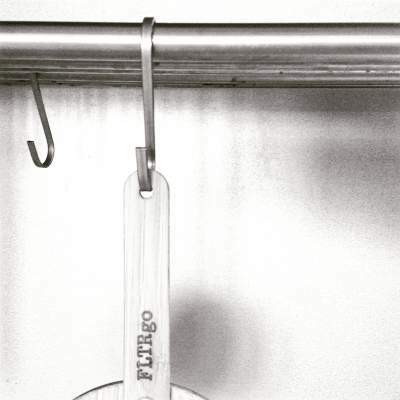 In all cases don’t forget to completely dry the FLTRgo before storing it. The FLTRgo is so compact, it can be stored or packed practically anywhere. Keep the filter in a clean, dry place. If you’re on the trail, use a carabiner to clip the FLTRgo to your backpack.